I bought my dinner from the back of a truck tonight. I love it when this truck is parked in my neighborhood. 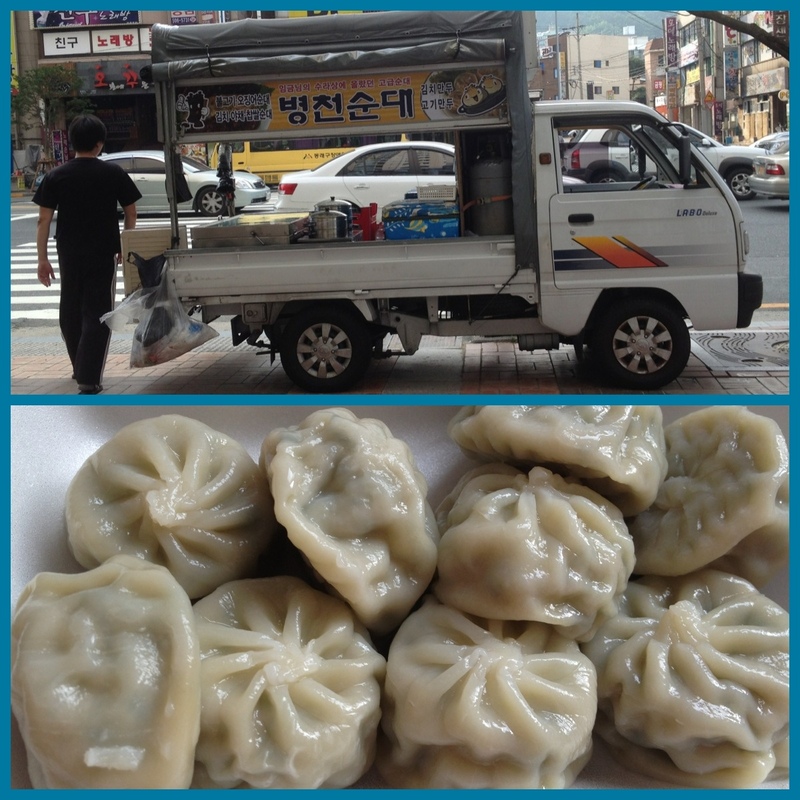 He sells delicious steamed dumplings (10 for 3,000 won).